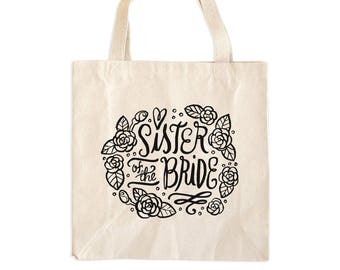 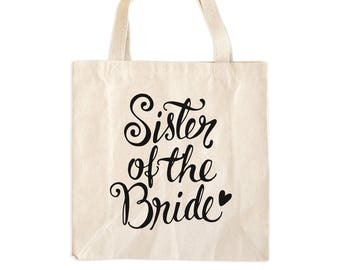 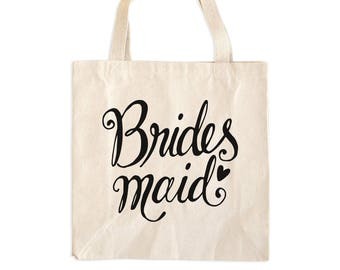 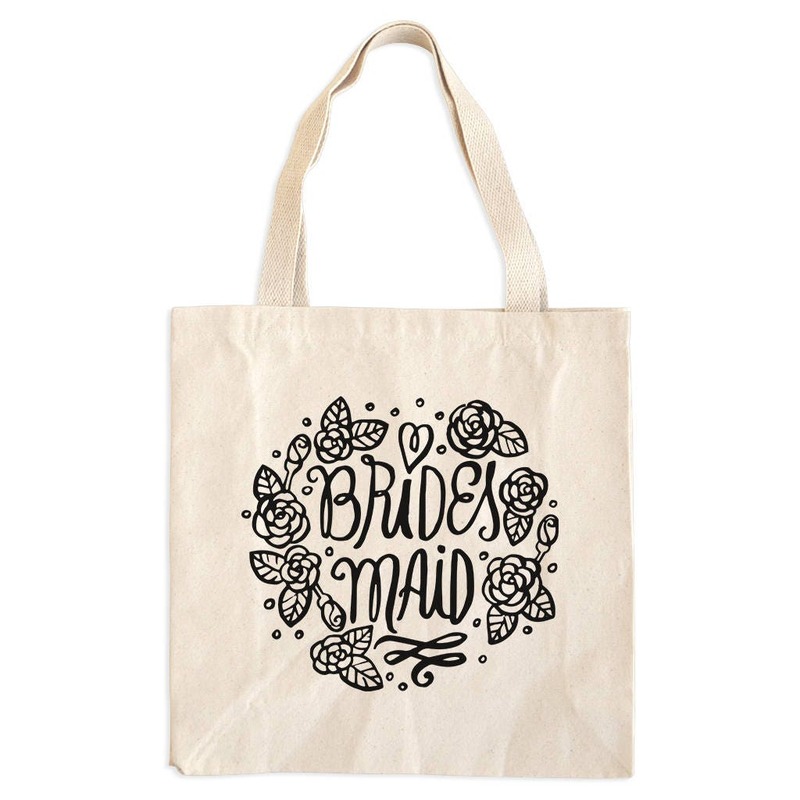 Our awesome Bridesmaid Tote Bag is a special wedding party gift for your girls to remember that special day! 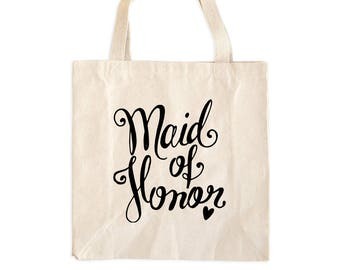 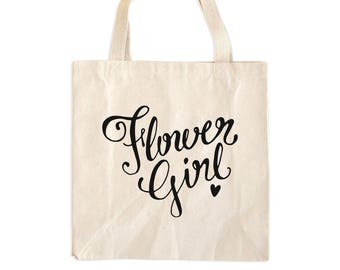 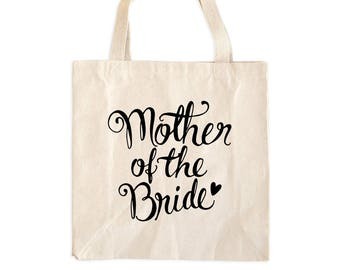 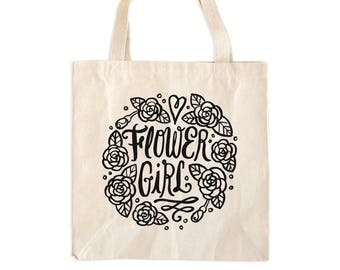 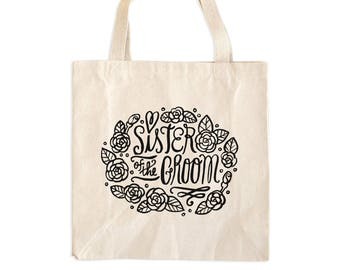 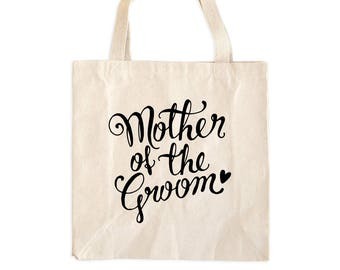 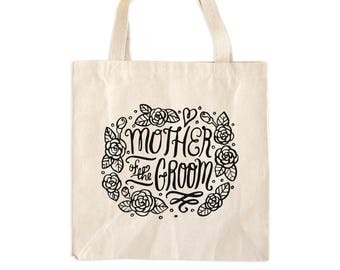 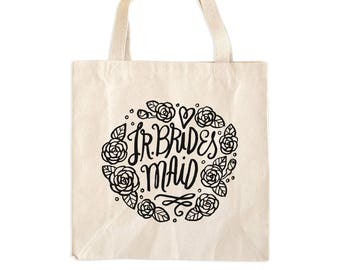 Our natural cotton canvas totes are sturdy, high quality and perfect for special occasions such as weddings, bachelorette parties, and your everyday. 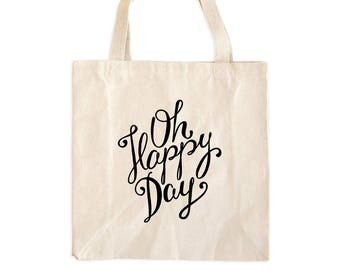 Sturdy 12.0 oz 100% cotton canvas. 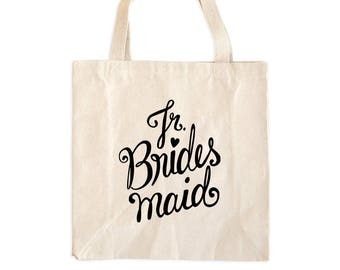 Dimensions: 15" x 19½" x 5" - 22" handles. 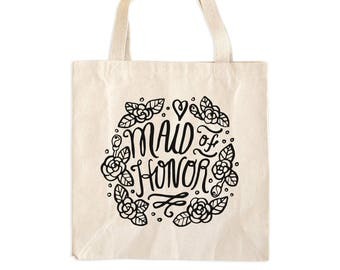 Print on one side; inks are water based and eco-friendly. 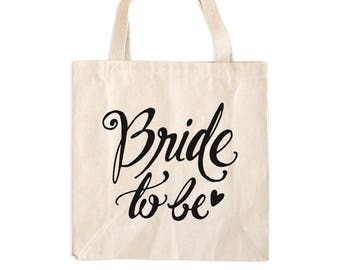 Reinforced square bottom and gusseted sides. PROCESSING TIME: Each tote is made to order; please proceed to checkout for current processing and shipping times.